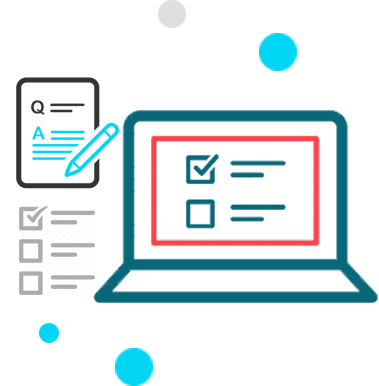 Research candidates often underestimate the importance and necessity of a well-designed questionnaire. A questionnaire is the basic requirement when you want to collect the most accurate and reliable data. To design a questionnaire it is essential to have the extensive knowledge of a particular domain, and that requires the help of experts. Candidates consider that designing a questionnaire is similar to writing a research chapter, however, it is not the same and thus, they require professional consultation. Research Consultants at Regent Statistics have an intensive knowledge of different scales, ethical issues, question type, length of questionnaire, reliability and validity factor. They are well-versed in providing an objective set of enquires in the form of a questionnaire. You can submit your requirement through the enquiry form to get free in-depth consultation for questionnaire design. While designing a questionnaire our consultants also keep in mind the approach (Qualitative & Quantitative) you are following for your research. They simply do not take the raw data and convert it into a questionnaire. They make use of detailed knowledge of a wide range of statistical methods and techniques. They also use research methods to develop a questionnaire that works as a wonderful survey tool. They design optimal questionnaire to maximize the response rate. They choose appropriate scales such as Likert five points or seven points. They keep research objectives in mind while designing a questionnaire. They are experienced with both close ended and open ended questions. Selection of right approach (qualitative & quantitative) based on the type of research. High-quality questionnaire design with an aim to meet the research objectives.